Washington • When Mitt Romney announced his Senate bid, he signaled a compassionate approach to immigration. Pressed further that day, Romney, a Republican, said he had opposed a law to allow immigrants brought to America as children to have some legal protection but that was “water under the bridge” because then-President Barack Obama had made “representations” that have changed the circumstances. More than a month into his campaign, Romney now says the so-called Dreamers — named after the DREAM Act that would have protected them from deportation — should have to justify gaining any legal status, though not citizenship, by attending college or serving in the military or becoming a teacher. President Donald Trump ended Obama-era protections for the young immigrants put in place when the act, fully known as the Development, Relief and Education for Alien Minors Act, failed to pass Congress. Obama called his program Deferred Action for Childhood Arrivals, or DACA. Trump later said he’d back a fix to help the Dreamers. Romney says that wasn’t originally his own position. The comments were first reported by the Daily Herald of Provo. Romney later clarified that the young immigrants should have some protection but would have to “do more to justify permanent residence here” like schooling or military service. 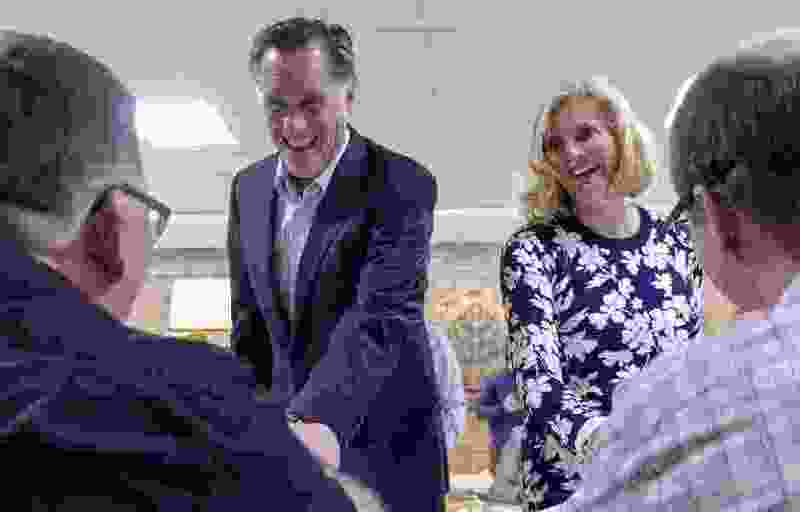 Further, Romney’s campaign noted in his declaration as a candidate to the Utah Republican Party, Romney had stated that he disagrees with some of the party platform on DACA and that the kids should be given legal status. She added that Romney’s position is “anti-Utah” because the state is welcoming to immigrants. ”We’re seeing the sloppiness of his presidential race, a lack of clarity and frankly a lack of heart right now,” Wilson said of Romney. A Salt Lake Tribune-Hinckley Institute of Politics poll from January showed that 69 percent of respondents favored a fix to DACA, allowing these young people to stay in the country. Besides Romney, 11 other candidates are seeking the GOP nomination for the Senate seat being vacated by Orrin Hatch, who is retiring. Besides Wilson, three other Democrats have filed, along with one candidate each from the Constitution, Libertarian and Independent American parties.